We've dedicated ourselves to providing the highest quality video production services available anywhere. From location scouting to set building, cinematography to editing, we've been building a solid foundation of satisfied clients for over 15 years. We've assembled a team of professionals who can help you bring your wildest dreams to fruition from start to finish. We can provide direction, cinematography, set design and construction, on-location services, equipment, supplies, transportation, editing and post-processing. 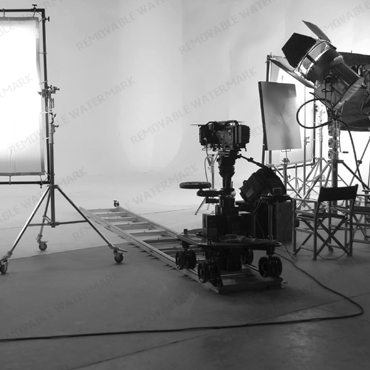 Whether your project calls for custom set building and shooting in our state-of-the-art studio or you need us to come to you (or anywhere in the world), we can provide everything necessary to complete the job on-time, within budget and with unsurpassed professional results. 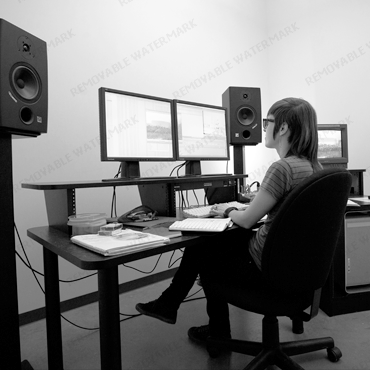 Once shooting wraps, our editors have the individual and combined experience to bring you stunning results. Our studio includes numerous lightning-fast computers with the latest software giving our team of artists the tools to bring you quality results quickly. We've been directing, filming, editing and providing cinematography services to our clients for over 15 years and can provide everything needed to produce the high quality results you demand. Start to finish! Our aristic eye for cinematography and our team's background in special effects has won us numerous awards over the years. We thrive on stretching ourselves to break visual barriers and consistently push the limits to achieve stunning results. The internet has brought us an ever changing new platform for both the advertising and film industries. 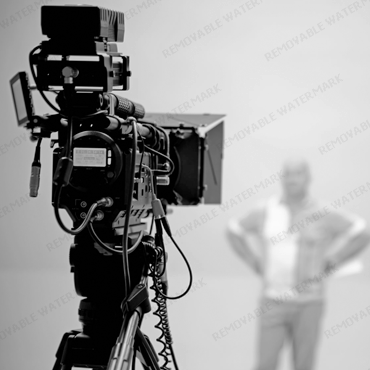 While the bulk of our work has been for film and television, we always ensure our clients receive web optimized versions of everything we do. Along with our suite of special effects software and equipment, we maintain a state-of-the-art editing and post production studio, and can even produce the highest quality results while on the road - or in a Saharan desert for that matter. Advertising and branded video can take your business to the next level. We've helped clients all over the world achieve better brand recognition and advertising results by creating custom videos and commercials. Whether you're looking for a complete project or you already have film or video you'd like to have updated to modern standards, we can help. We'll compress, format and optimize your project for any platform. The End of Malice is a real-life look into the story of Gene “No Malice” Thornton, a rap pioneer who gained success and fame only to find that the spoils of hip-hop stardom weren’t enough to bring him the fulfillment he desired. Inspired by such films as Rattle and Hum and Endless Summer, Fading West follows Grammy-winning alternative-rock band Switchfoot as they travel the globe in search of new musical inspiration and perfect waves. Enjoyed shooting land and water cinematography for this film in Tahiti with Directors Russell Brownley and Mark Tessi. The art direction in representing REEF's theme, Just Passing Through, allowed for a non-conventional shoot. We promise to give your project the attention it deserves and have a long history of satisfying our client's needs with professional results.